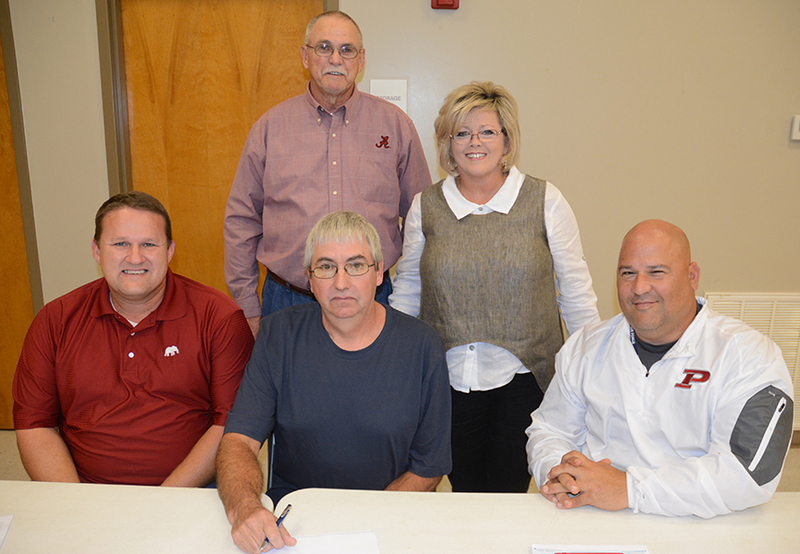 Newly installed Bear Creek Mayor Tammy Rowe Batchelor with town council members, from left, Daniel Green Jimmy Preston (standing), James Oden and Chris Gillum. BEAR CREEK - Tammy Rowe Batchelor, who was voted in by the town council as the new mayor of Bear Creek, is stressing unity among the council and town as a whole, to put aside grievances and differences and work together in order for the town to truly prosper. Batchelor was selected as the town’s new mayor at a special council meeting, which also included her swearing-in ceremony, Monday, Nov. 5, at the Bobby Bishop Community Center, due to the large crowd expected. “You all know Mayor Connie Morrison resigned, and I was voted in as mayor pro-tem for awhile,” said Jimmy Preston, a council member who had been named mayor pro-tem after Morrison’s resignation.